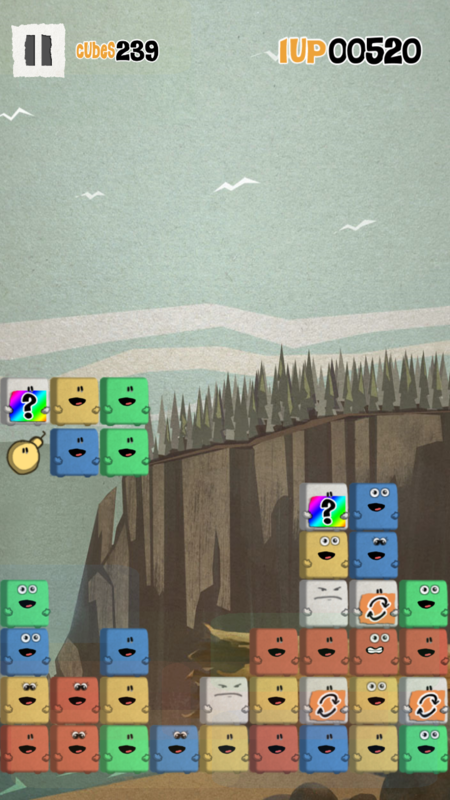 a match 3 puzzler, with twists, out now for iPhone iPad and Android! 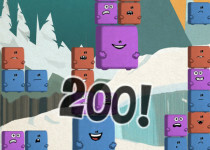 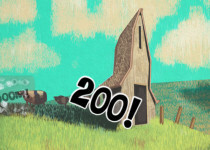 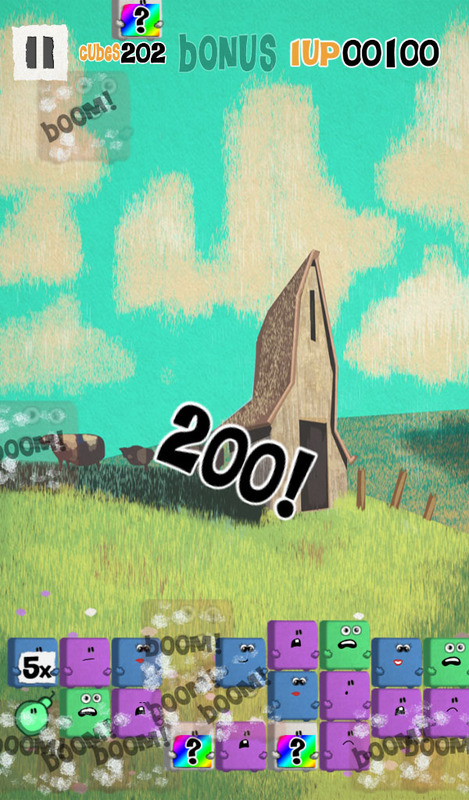 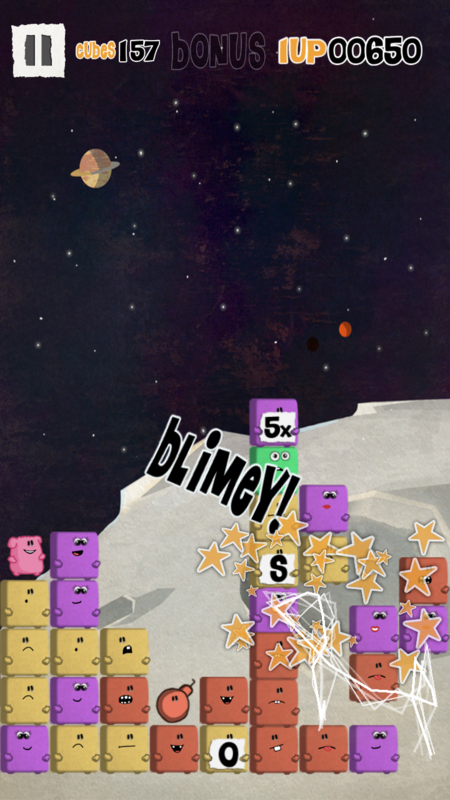 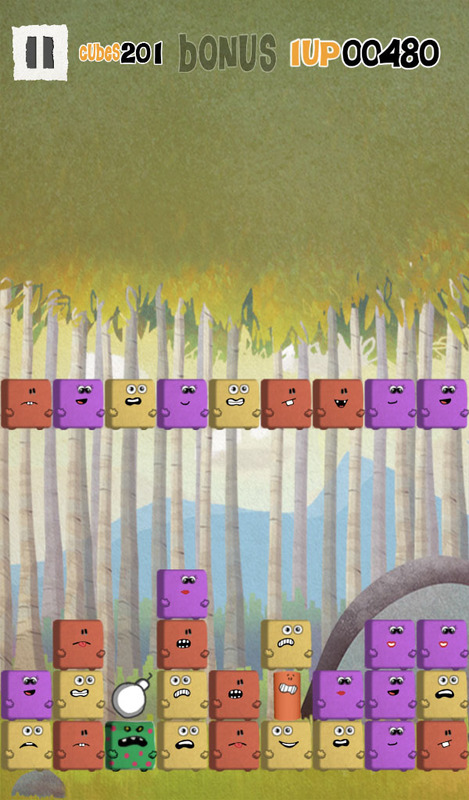 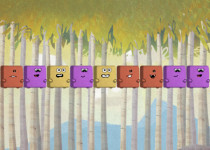 OhNoCubes is a fun and very addictive match 3 puzzle game with a twist. 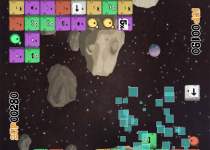 Cubes are falling from the skies! 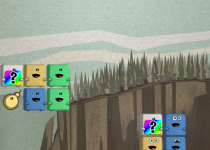 Tap when 3 cubes of the same color are touching to stop them piling up and ruining the view. 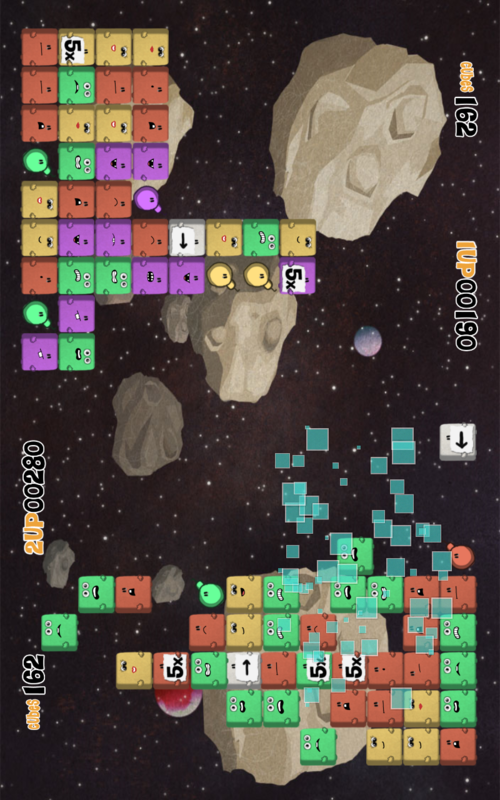 Use special cubes like color bombs and rotators to help you through the 63 levels. 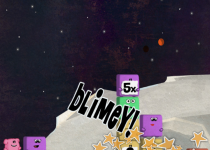 Tap the multipliers to gain big scores and feature on the global leaderboards,or just to compare against your friends and family on the local leaderboard. 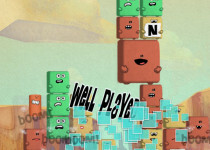 * Watch out for zombie cubes! . 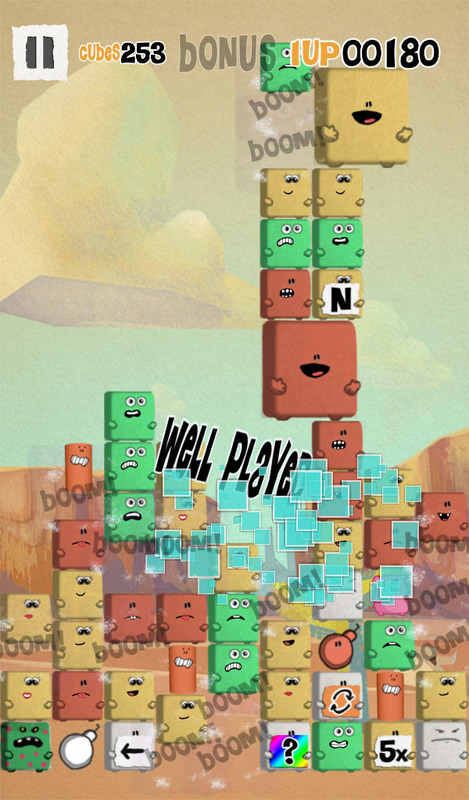 battle against a friend on the local two player mode. 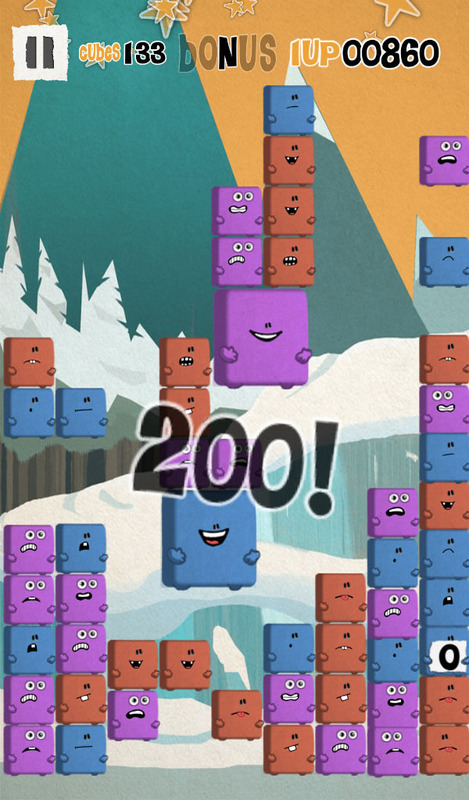 Grab a big sequence to pass cubes,or use the color changer to ruin your friends score.